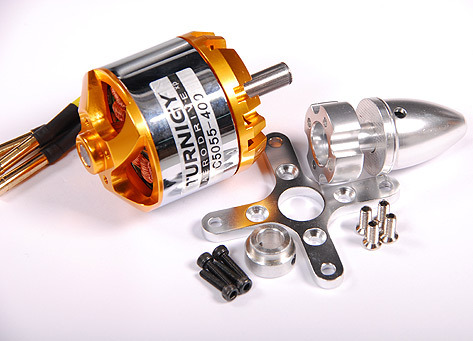 Use this motor with 4-6 cell Li-Poly packs and 13-14 inch props on planes up to 7 lbs flying weight. Manufacturer suggests a 13 x 8 prop on 6 cells or 14 x 9 on 4 cells. Similar to AXi GOld 4120/18, E-Flite Power 60. Roughly equivalent to .46 2-stroke or .65 4-stroke glow engines.